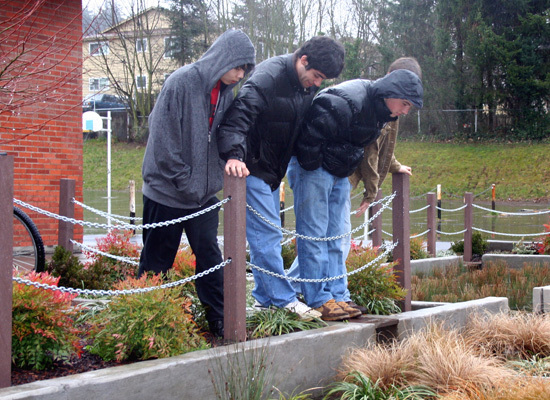 Adding to the growing list of stormwater management projects posted on this blog is the Mount Tabor Middle School Rain Garden in Portland, Oregon, designed by Kevin Robert Perry with Brandon Wilson and built in 2007. It is included in the American Society of Landscape Architect's recently launched website Designing Our Future: Sustainable Landscapes, a sort of glossy brochure of 10 mothership-approved projects to showcase the ASLA and its members to a lay public and some allied fields that unsurprisingly are unfamiliar with what they actually. 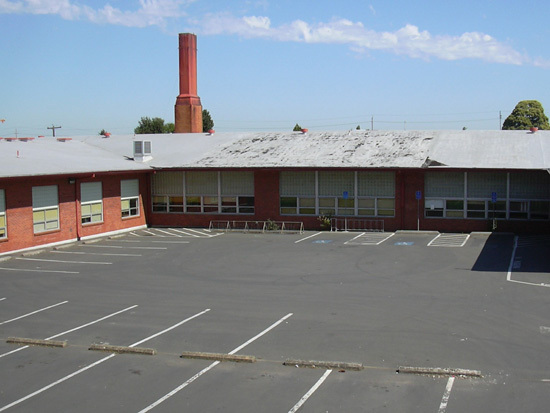 Here, most of the rainwater falling on the school grounds are captured and allowed to infiltrate the soil rather than piped away on aging sewers. 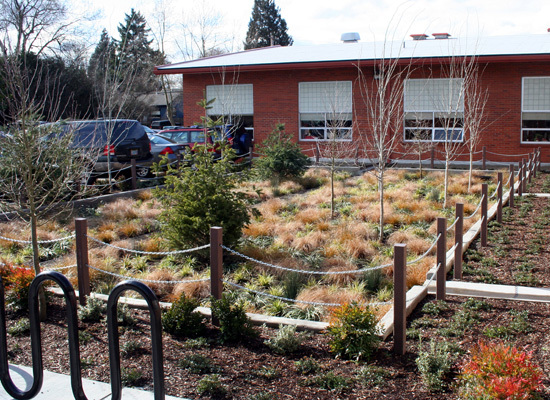 This depaved parking lot also has the added benefit of cleansing the water of pollutants, cooling the school's south-facing classroom and providing an on-site, real-world example of environmental design. 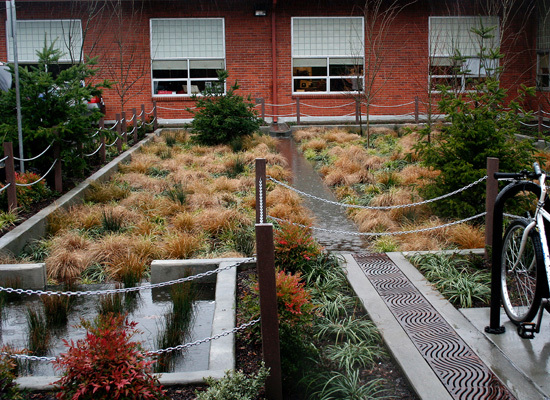 Now if only someone were to make the hydrological Edible Schoolyard. Glad you're back- you were missed!